Tip: Excess/leftover blueberry filling and date streusel make an excellent whole-grain cereal topper. Berried Treasures with Macadamia Nut Creme and Portabella Stroganoff from Unprocessed: How to Achieve Vibrant Health and Your Ideal Weight, by Chef AJ. September 25 is the last day to enter the giveaway – for details on how to add your name, see below. Tip: Serve over steamed brown rice and top with fresh baby arugula. To enter the giveaway, please leave a comment below or on any other Unprocessed blog post describing what you find most addicting: sugar, salt or oil. Or, share your story of how you have cleaned up your diet and changed your life. For additional entries you can also Like my Facebook pages, An Unrefined Vegan and/or Virtual Vegan Potluck. The giveaway ends September 25. Thank you! Mmm both these dishes look divine, I am literally salivating. As far as my rags to riches story goes (in regards to health, of course), it was overcoming the norms and “education” that my parents raised me with in relations to diet and what to put into my body for optimal health. Of course I loved sweets as a child, but I grew more moderate towards it as I got older. Too much oil always made me sick and I never really had a craving for excess sodium. Dairy: cheese, milk, yogurt, ice cream was my evil..I was raised that dairy was extremely beneficial to me, to which I was forced and urged to consume it every morning. I always had mild issues digesting it, but my mother told me to drink it for strong bones, so that meant it was healthy and ok to keep drinking it, right? As an adolescent, doing my own research and then opposing my mother’s wishes for my health was the main battle, but in the end it was the best choice I could’ve made no doubt. Ahhh, the “strong bones” myth! Most of us bought into that. Thank you for sharing your journey! Hey Courtney! You are right! It’s a completely soul-satisfying dessert! And the mushrooms ain’t too shabby either ;-)! That stroganoff looks like it would be worth the price of the book–it looks SO good! The hardest thing for me to cut out has always been the sweet. Growing up, there were always candy or cookies in the house, and to this day, I still have the urge to have something sweet to signal the end of the meal. I’ve gotten better about using fruit in those situations, but based on the fact that I went to a fall arts & craft show today and the only items I bought were vegan baked treats, I still have a long way to go *SIGH*. That’s exactly it! The end of a meal means: sugar!! I’m conditioned the same way, darn it! But slowly, slowly we can recondition ourselves and tame those cravings. Thank you for commenting and entering the giveaway! Hey Mark! Thanks and good luck on the giveaway! That blueberry deliciousness has my name all over it!! YUM! 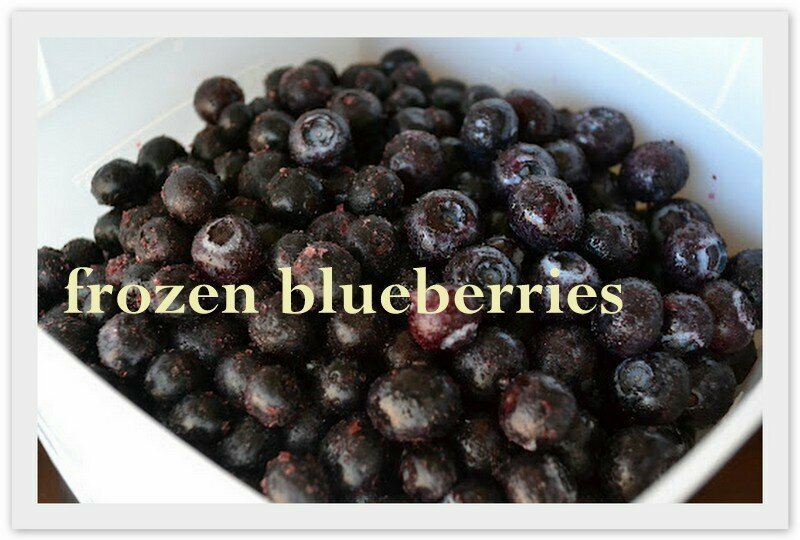 Couldn’t comment on this earlier because I couldn’t get an image out of my head about blueberries. everywhere. Hehe! Oh wow, that stroganoff! I was totally ticked I didn’t have portabella mushrooms hanging out to make that for dinner tonight. I think AJ needs to send you a proof of her next book and have you do the photos!!! I’m STILL finding blueberry juice ;-)! Hey Chef AJ: I’m available! Too funny. I have blueberry stains on my slate floor from when my youngest ratbag was a baby. You always make me SO hungry! I have more trouble with salt than anything else. Big Sis will be delighted that I’ve admitted this… Look friends, I’m growing. That all looks superb, you are certainly selling this book to your readers! Chef AJ’s quote at the top reminds me of a family who lived in the same street as me when I was growing up. They were a little unusual, and one of the odd things about them was that they ate their dessert before their main course. I’ve never come across anyone else who did that. And guess what, they were all slim. Amazing! We used to joke in our family about starting dinner off with dessert, but we never followed through. Good for them! Got their priorities straight! Definitely sugar for me! So addicting! Hehe, I know, right? Love that. Oh my WOW, these both look absolutely amazing and even better that they’re healthy to boot! I find quitting sugar the toughest one. I know it – it’s still a struggle for me – which is why Saturdays and Sundays are my “sweet” days! These look so yummy! I would love to win a copy of the book! Oh my gosh – it all looks so amazingly good – yum!!! Thanks, Vincent. I’ll check it out!